What a day for a daydream... or at least a walk on a new mowed lawn! 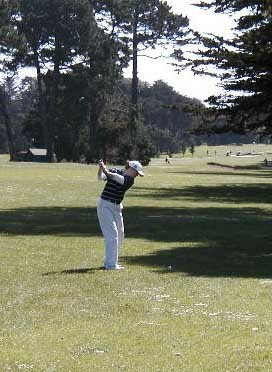 2001 San Francisco womens amateur title on March 10, 2002.
providing clover the opportunity to bloom. At least it was not snow on the ground! 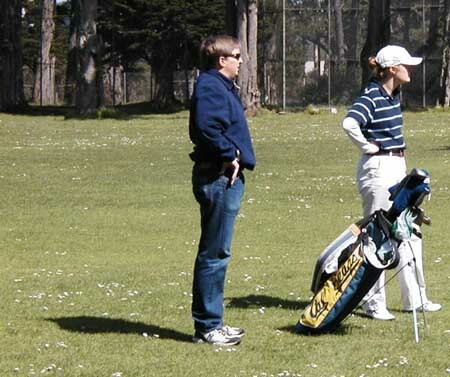 Notice the attentive, upright caddy posture. The day was young... it was still the first hole! while Eden contemplates how she will make par. This is not shooting from the hip... it's just plain hip. 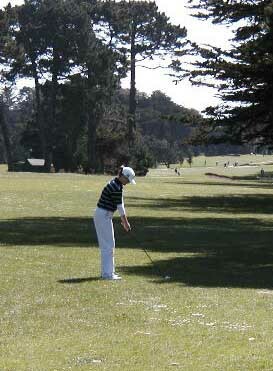 in the fairway three hundred and sixty-two yards away... when they're not looking. For those of you dialing up over a 56K modem, this short movie will take 15 minutes to load. you will be able to see the fine form of the fabulous Eden Anderson. If you can not view the movie above, you may need the Quicktime Plugin for your browser. download the free Quicktime player and plugin free from here. 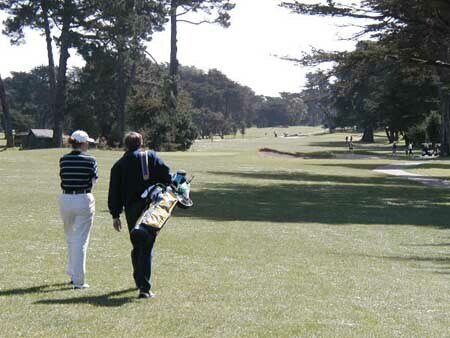 Click here to see the results of each round of match play. sue Mother Nature for the soggy fairways and sluggish greens. 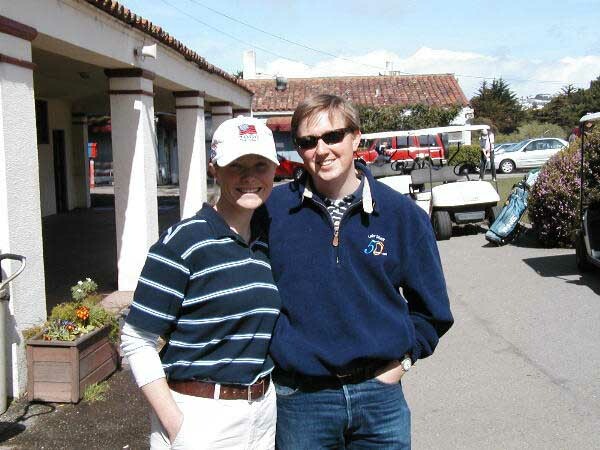 On the other hand, she can always blame her caddy! This web page is a fabrication by Are We Really?